Yuki Anggia Putri (Yuki) is a writer who have a big passion for writing and editing, social media, photography, especially in Travel Leisure industry. She started her writing career in 2008 while studied in University of Indonesia and become a freelance writer. After graduated from her study in Indonesia Literature, she started to work as a book editor. 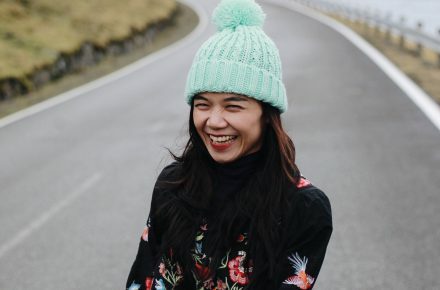 In 2013, she decided to make a travel and lifestyle blog based on her passion in traveling and writing, named Helter Skelter, after her first travel article got published in Maxim Indonesia magazine. From this blog, she could meet new friends and got several awards for her writings. She keeps writing for printed magazine, her favourite are two articles about old church in Jakarta published in National Geographic Traveler in 2016 and an article about road trip in Java in Koran Kompas in 2017. See here for the complete portfolio. I am excited to work with you in travel (including lifestyle) related collaboration. The kind of advertising available is written below. I could make a review for travel and lifestyle products, hotel and restaurant, in my blog and my social medias. I could put your link in my blogpost or your banner ads in the side bar. I could join a media trip, familiarisation trip, and press trip from tourism boards and companies. If you are interested in working and collaborating with me, please drop me an email at [email protected]. See my complete portfolio here. You can also find me on Instagram, Facebook and Twitter. ADES, Shiseido, CIMB Niaga, Pertamina, IziRoam, Original Source, Far East Hospitality, Blibli.com, Uniqlo, Nivea, BCA, Kompas Klasika, Honda Mobilio, Kalibre, Traveloka, Shopback, Zalora, Matahari Mall, Tokopedia, XL, Gojek, Majalah Panorama, Motorola, Sari Kacang Ijo Ultra Jaya, Amaragita Batik, etc. Wah udah lama jadi penulis ternyata yah.. Keren.. Salam kenal yah mbak yuki..
halo, salam kenal juga Chusniardi. terima kasih sudah mampir ke blog ini, ya. Tpi aku tetep follow karna ternyata kakak sangat menginspirasi.